I started to read The Lost Symbol several times but never finished except for this one time. I don’t know what stopped me each time because I couldn’t find out why. I thought the novel was an okay story. Famed Harvard symbologist Robert Langdon answers an unexpected summons to appear at the U.S. Capitol Building. His planned lecture is interrupted when a disturbing object—artfully encoded with five symbols—is discovered in the building. Langdon recognizes in the find an ancient invitation into a lost world of esoteric, potentially dangerous wisdom. When his mentor Peter Solomon—a longstanding Mason and beloved philanthropist—is kidnapped, Langdon realizes that the only way to save Solomon is to accept the mystical invitation and plunge headlong into a clandestine world of Masonic secrets, hidden history, and one inconceivable truth . . . 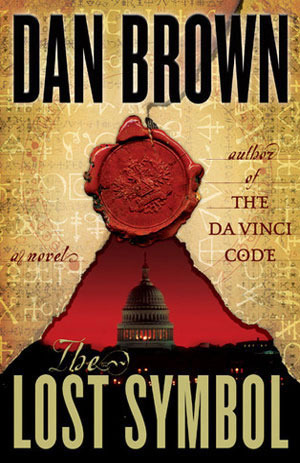 I give The Lost Symbol by Dan Brown three out of five hearts because I didn’t love it, but thought it was okay. During most of the novel it feels like Robert Langdon is very passive. Everything happens to him. Like how he goes to a convention, but then nobody is there or how Katherine (the other pov) gets a phone call. They barely do anything active in this novel, they just move with the things that happen to them. It annoyed me a bit. But the novel is another great page turner and tried to make me care. The storylines were great, but made the main characters very passive.